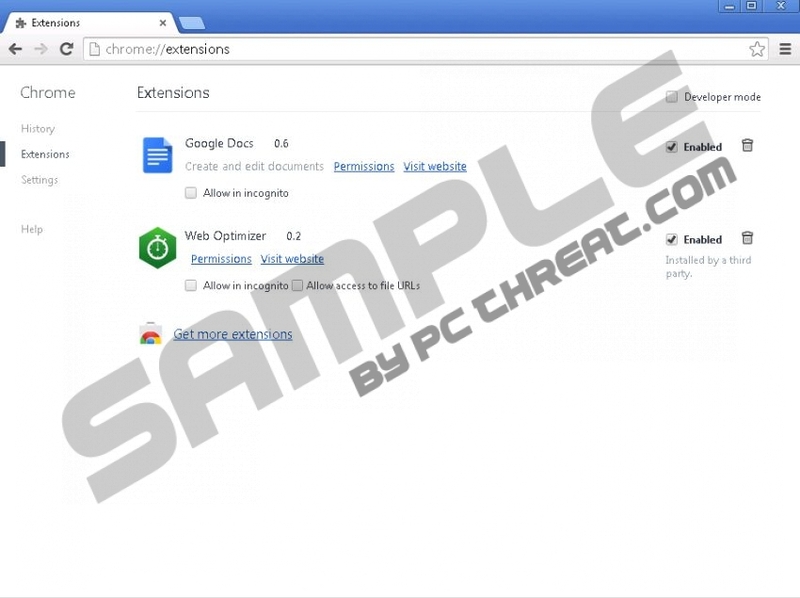 Web Optimizer is a potentially unwanted application that promises to improve your web security and browser performance. However, this program is considered to be an adware application because it also displays commercial offers. These commercial offers could be embedded with corrupted links to dangerous websites. Web Optimizer does not warn users about that explicitly, so it casts a substantial doubt of this application’s reliability. In this situation, you should remove Web Optimizer from the system so that you would be able to avoid potential security issues related to this program. To be honest, there is nothing new about Web Optimizer. It is just a new clone of WinGuard 0.2 and SecurtiyUtility adware applications. They are promoted as useful browser extensions that can make your internet browsing safer, but in reality the only reason they arrive at your computer is money. Web Optimizer is not a rogue antispyware, and it does not rip you off directly. However, through its advertisements this application can redirect you to pay-per-click websites so that you would increase their traffic count. With the increased traffic, these website generate financial profit for Web Optimizer’s creators. Such practice is not illegal, but it is highly unsafe because even cyber criminals could make use of Web Optimizer to promote dangerous content. Just like previously released applications, Web Optimizer can be downloaded at the main homepage via web1optimizer.net. However, that is obviously not the main adware distribution source. Just like most of the adware applications built on DealPly platform, Web Optimizer also travels bundled with other freeware programs. It usually targets users with German IP addresses, and the application spreads via Amonetize installer together with such programs like Wajam (SuperWeb group), DolphinDeals, Remarkit, OffersWizard and many more. Therefore, you may not even know that you have installed Web Optimizer on your computer until it starts displaying commercial ads. Based on our research, the application starts showing pop-ups and banner ads on shopping websites 12 hours after installation. Just as it has been mentioned previously, users should not trust Web Optimizer ads blindly. Avoid serious computer security problems by removing Web Optimizer completely. Manual removal via Control panel is enough to terminate this application, but you should still scan the PC with a licensed antispyware application. This way you will make sure that all unwanted programs are removed, and your system is perfectly safe. Highlight Web Optimizer and click Uninstall. Go to Uninstall a program and remove Web Optimizer. Select Add or remove programs and uninstall Web Optimizer. Quick & tested solution for Web Optimizer removal.